Portland largely escaped the fog that looked to be blanketing the mainland but the hole of clear sky over the island didn't look to be large enough to entice many late migrants to get moving. 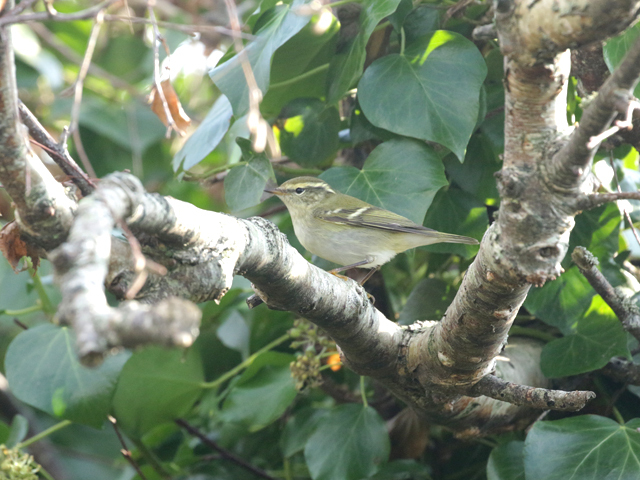 A new Yellow-browed Warbler dropped in at the Obs but the numbers of most of the commoner migrants were less than impressive, with 17 Siskins, 15 Brambling, 12 Reed Buntings, 8 Redpoll, 6 Fieldfare, 2 Mistle Thrushes and singles of Golden Plover, Great Spotted Woodpecker and Bullfinch providing the best of the other interest at the Bill; elsewhere a Black Redstart was at Blacknor. 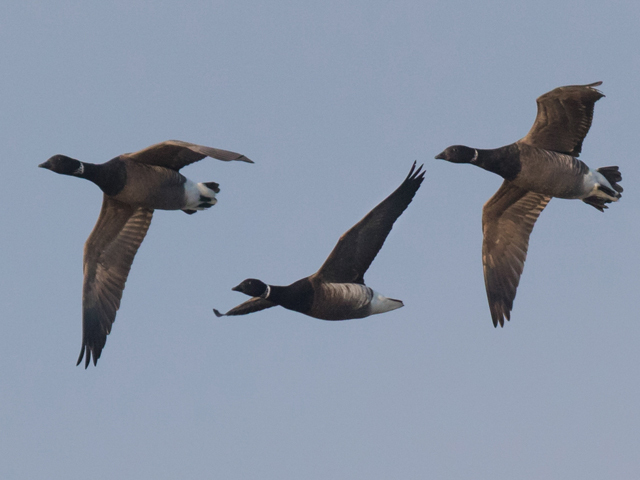 The Black Brant was again amongst the brents at Ferrybridge. Singles of Vestal and Delicate were the only immigrant moths of note at the Obs.